I agree. I would like to keep him but he is trending downwards and I feel ultimately negotiations fail and he becomes a cap casualty..........I feel the same happens with Tannehill....... both players being released saves $26Mil in cap space. 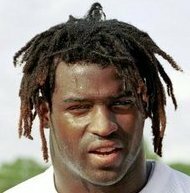 I think we possibly let Wake walk too unless he agrees to something around the veteran minimum.....All that cap space lets us target a veteran QB and a veteran DE free agent, and there are some big name DE's that will probably test the market.......Frank Clark, Brandon Graham, Ezekiel Ansah, Demarcus Lawrence ( could be interested in reuniting with Richards if he gets our HC job ), Michael Johnson, Dante Fowler Jr, Tre Flowers, and William Hayes ( who could probably be retained on a team friendly deal again ). He was better as a 4-3 DE than a 3-4 OLB - that being said, he is a bit one-dimensional and not the strongest performer in the run game. He is a decent piece, but shouldn't play more than 400/500 snaps on a good defense. He will almost certainly be cut. Wake had less-impressive stats (marginally), but had superior efficiency metrics, was 2/3 of the price and he's way sexier too. So I hope we keep Wake and get him to 100 sacks. Lol that's not someone you want to be targeting. He's really just a body at the point. Good point.......scratch Johnson. He should probably hang up his cleats at this point. Fowler intrigues me as a potential option. There are some really good free agents hitting the market this year, the problem is, unless they are coming off of their rookie deal, Grier won't be interested in them. He doesn't want any stop gap players, his attitude is to let the young players play, mistakes and all, and save the cap space to use on a really good young player, instead of a bunch of older free agents. The first round QB shape up like this, there are basically 3 who have legit first round talent. Haskins, who will be the first pick taken which I discussed above. The other two are Drew Lock, and Kyler Murray. Both Lock and Murray have some major drawbacks, but both are going in the first round. In Lock you have the prototypical pocket passer. At 6-4 he has the size and frame that NFL front offices look for. He has a cannon for an arm, and makes good decisions. His biggest negative has been that when he faces his toughest opponents, he has his worst performances. He feasted against non ranked opponents, and looked flat against ranked defenses. To me, I see a lot of Ryan Tannehill in Drew Lock, which kinda scares me in that I don't know if it is a mental thing with Lock where he gets rattled in big games, or is it just that his team didn't have the talent to compete. The other thing that I see when watching tape of Lock, is that most of his TD passes are on the outside, over the top of the defense. He is very good at the long ball, however, you don't see many passes where he is throwing into tight windows center field. In the NFL, DB are really good and you may only have 3 opportunities to throw over the defense down the sideline. QB's have to be able to kill defenses on the short routes, throwing through coverage. I watched every highlight reel I could find, and every single TD was thrown to the deepest WR on that route tree. Now don't get me wrong, he showed some great accuracy and touch on those passes, I just worry that once NFL defenses take away that money throw, how will he react. I still think that a team will draft Lock in the top 10. The next QB is Murray. I don't see any negatives to his game, he is a Russell Wilson, Patrick Mahomes type of QB. The biggest problem with Murray is his size. It has been rumored that he is barely 5-10, and his playing weight was around 185 lbs. Now he probably stayed light to keep his speed and quickness up, but in the NFL he will need to add muscle to his frame to protect his body. In college, most D-lineman run a 5.2 and up 40, giving him a major advantage. In the NFL, there are D-lineman running a 4.5. NFL LB weigh on average 30 lbs more than college LB's, and there are some that run in the 4.4 range. Murray will eventually take a monster shot, I fear that he might not survive it. Jakeem Grant, due to his size, is going to miss 3 to 4 games a year due to being beat up. When it is a WR, you can scheme for that. When your QB is missing that much time, it kills your team. Mariota right now has taken so much damage he is borderline to continue his career. We saw what happened to Mick Vick as the years passed, RG3, even Wilson has missed time. Murray will have to change how he plays the game of football in the NFL to limit contact. Even then, a cheap shot along the sideline, as we saw with Pat White, can change everything. Pat lost his heart for football after taking that devastating hit, and went back to baseball. That is a risk that will always be there with Murray. The only other negative to Murray, is that he has to use his entire body to generate power on the football. A QB like Ben Roth., even Haskins, can get the ball 30 yards downfield using only their arm. Murray can't do that. Any pass beyond 15 yards Murray has to step into the throw to put velocity on it. I will link a good video that explains how Murray uses fantastic technique to generate force. What this means is that their will be times where Murray won't be able to step into a throw, which could cause a floater. The Dolphins will have to be fine with this. He may throw a pick for every 2 or 3 TD's he throws. Some teams would love that ratio, while it would drive other teams crazy. All this being said, I think that Murray will be on the board at 13 when Miami picks, if we decide not to trade up. I don't think Murray makes it out of the first round as he will be drafted by a team with an aging QB. The other QB that most talk about is Grier. I think he goes in the second round. He is great at a lot of things, but him skipping the bowl game really makes me question his heart. Why would you miss out on your chance to make a statement when the entire NFL scouting community is watching? At any rate, he is an option in the second, but I don't think he is any better than Luke Falk who we already have on the roster. I want an upgrade at QB, and the 3 listed above are the only upgrades I see over Tannehill and Falk. Russell Wilson has literally never missed a start due to injury as a pro. He's been nicked up, but he's a gamer and has played through everything. I don't want any of these guys in the first outside of Haskins, and the Fins can't afford the move up to 1 to get him. 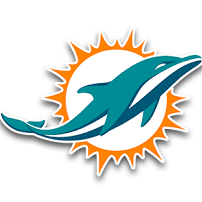 But I will continue to beat the drum that the Fins need to draft a QB somewhere every year until they find "the one". Agreed. I have the same mentality. Probably our new coach's defensive scheme will influence our picks. I'm not sure how similar it will be to what he did in NE, if it is Flores. Not sure how much BB dictated the defensive scheme Flores had to stick with.I'd like to see us move to a 3-3-5 base. Get some more speed on the field. I think it'd require more TJ Watt/Dante Fowler-style OLB's and not our current ones. With this draft I’m predicting that Flores is our next HC and he will be transitioning our Defense to a 3-4 hybrid much like the Patriots run. I tried to keep this somewhat realistic and since draft trades are difficult to pull off I didn’t do any moving up or down the boards. I feel Haskins will go #1 overall and is outside our range, so I added a developmental QB with a rocket arm and elite size with good mobility and foot speed in the mid rounds. I focused mostly on the strength of this draft.......Defense, while adding a few Offensive players that could contribute in 2019 but would have a solid chance of becoming a starter in 2020. With those selections I placed 7th in draft score. That’s not too bad considering I’m filling needs without making trades and we have the 13th pick. Take a look and let me know what you think pls. I'd take that. As someone who's watched a lot of Brian Burns, I think he's more of a pass rush specialist. Like both Jackson picks. Traded down for a 2nd and 4th. Almost traded up to the late 1st to get Wilkins/Lawrence. I would be happy with that. I don’t predict we will be able to trade down in such a deep Defensive draft, but I would certainly be ecstatic if we did and added a couple more picks. I don’t know about the Johnson pick. I like the player and the value, but he wouldn’t fill a big need except for depth I guess. I like the Hill pick and as the 12th pick in the third round he should’ve been an A or maybe even an A+ IMO. I think the 2nd round is too early for Gustin.......I see him as a 4th rounder right now, but if hie blows up the combine then he could move to an early second or even a late first depending. Reported on ESPN this morning the Dolphins will look to 2020 Draft class for QB. So happy about this. Taking one of this years QBs would be panic mode. The rebuild has finally begun!